Immigration and Customs Enforcement fails to fix problems found at its detention centers during inspections and often takes years to address problems like abusing strip-searches and failing to report sexual assaults, according to a federal investigation released Friday. The Department of Homeland Security’s Office of Inspector General said in its report that inspections by a private contractor and a division of ICE failed to ensure consistent compliance with detention standards or comprehensive fixes of the problems they find. 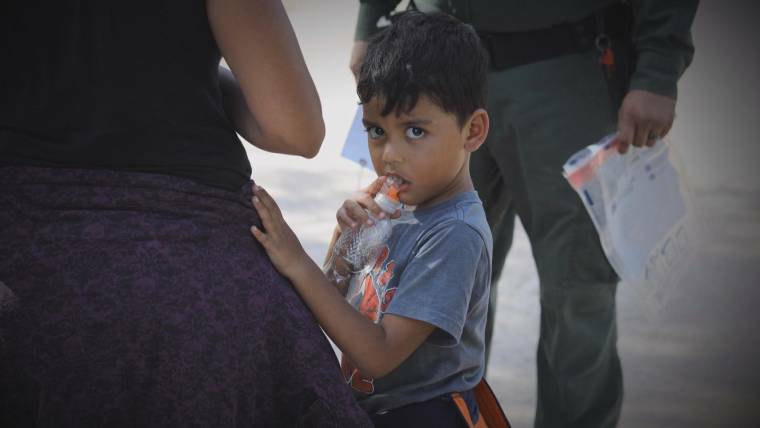 What impact could family separation have on children’s health? ICE agreed with the findings in the report and the inspector general’s five recommendations. A spokesperson said ICE will “continue to ensure its detention facilities comply with relevant policies and standards through an aggressive inspections program.” ICE will re-evaluate areas of its inspections process that the OIG recommended for reform and has already taken several steps to improve quality assurance for contracted inspections, the spokesperson said in a statement. According to the report, ICE contracts with Nakamoto Group Inc. to do some inspections of its 200 facilities that held about 35,000 people at the end of fiscal year 2017, which finished on Sept. 30, 2017. Jenni Nakamoto, president and owner of Nakamoto Group, said because of the contract with ICE, she could not comment on the OIG report. The private group’s inspections were particularly problematic, according to a footnote in the inspector general’s report. ICE employees and managers told the investigators that Nakamoto inspectors “breeze by the standards” and do not “have enough time to see if the [facility] is actually implementing the policies. “They also described Nakamoto inspections as being ‘very, very, very difficult to fail,’” the OIG inspectors said in the report. “ODO teams consistently found more deficiencies than Nakamoto when two groups inspect the same facilities,” the investigators said. The OIG inspectors said when they observed Nakamoto interviewing detainees as part of the inspection process, they did not see Nakamoto conduct any interviews in any language other than English or do some in private settings as they are required to do. “In fact, inspectors selected detainees for interviews by asking first whether they spoke English,” the report said. In discussing ICE’s failure to follow up on cited problems and ensure they are corrected, the OIG gave the example of several facilities continuing to strip-search all incoming detainees without establishing reasonable suspicion, as required by detention standards. The strip-searches continued as part of intake without documentation even though the misuse of them had been noted in a previous inspection. Other examples of repeated problems that had already been pointed out in inspections but not dealt with included facilities failing to inform ICE about alleged or proven sexual assaults. Less egregious continuing problems were guards opening detainees’ mail without the detained person present and not allowing participation in the maximum recreation time as required by the standards. Groups that have previously criticized ICE detention inspections said the findings reflect their own analysis of ICE inspection reports, which they obtained through open government requests. “This report confirms what the people behind bars in immigration jails already know: migrants in detention suffer abuses, rights deprivations, and neglect, and ICE has no interest in investigating or remedying these harms,” Heidi Altman, National Immigration Justice Center director of policy, stated in a news release. The report was issued as some Democrats and advocacy groups have been calling for the abolishment of ICE, an agency created after the Sept. 11, 2001, terrorist attacks and the abolishment of the Immigration and Naturalization Service. The push for a scrapping of ICE — that originated as the agency stepped up its arrests of immigrants in the country unlawfully — has intensified amid backlash over the Trump administration’s forced separation of children on the border, which President Donald Trump has since suspended through executive order. In an interview with Fox News, Acting ICE Director Thomas Homan, who was to retire Friday, pushed back on the calls for ICE’s abolishment, saying those calling for it need to educate themselves because it is the Border Patrol and not ICE that actually makes the separations. He noted that ICE has arrested 5,000 criminals who are immigrants and that it spent millions to help “shut down” the opioid crisis and cross-border crime. “These people that want to make a judgment about ICE, we are enforcing the laws they (Congress) enacted,” he said.